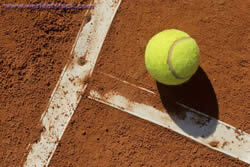 There are several places you can play tennis in Javea. Most of the clubs also feature paddle tennis (tennis played on a smaller court, with glass walls around it, using bats - a little like a cross between tennis and squash). They also have bar/restaurant and often pools. Again a friendly club and another great location just off the Arenal. Pool, restaurant, bar and 8 clay courts, 2paddle tennis courts and one squash court. They have a good website - link on the picture on the left. Tennis is 9 euros per hour, as is squash. 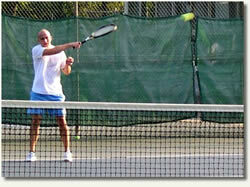 Or you can join on a weekly membership for 35 euros and have member rates for tennis and squash of 2.50 euros per hour. Next time you go to the Arenal, just at the roundabout heading from the Arenal with the Parador in front of you, take a left at the roundabout, head straight on and you will come to the club. Pop into the bar for a drink and have a look around. Situated on the way to Pedreguer about 6km from Javea, La Sella is a substantial facility with 5 clay courts and 3 all-weather artificial courts. Website on the left click the picture. A pdf of directions can be found here. I would say something of a more formal tennis club than the ones you will find right in Javea. Situated right in the heart of Javea just behind the Arenal, on Avenida de Paris you will find this friendly and welcoming club. It has 4 clay courts, paddle tennis, a pool and restaurant, and a tennis shop just next to it. You can book a court by the hour and also hire racquets and balls. Coaching is also available. I have used this club myself and found it to be very friendly and welcoming. 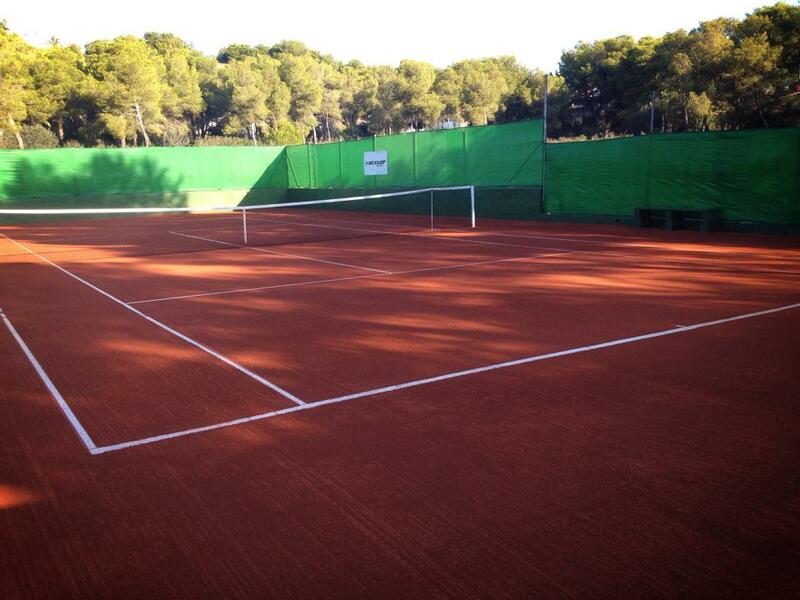 Located in Cabo La Nao Los Pinos tennis club has seven clay courts and one hard court and they believe that their clay courts are the best in Javea. 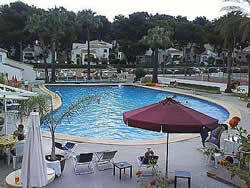 The club is also equipped with a pool, a restaurant and a shop which includes a re-strining service. Courts are 15 euros an hour per person, or 10 euros for the hard court. Lessons are available too in group or individually.